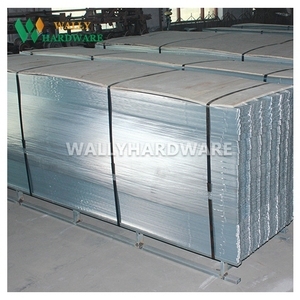 Construction formwork mesh has very good engineering quality and construction security; 2). Construction formwork mesh as the concrete permanent assembly free sheet is much convenient for engineering design and processing; 3). Construction formwork mesh is widely used in tunnels,bridges and valve system and so on to make the process of construction much more fast and stable. 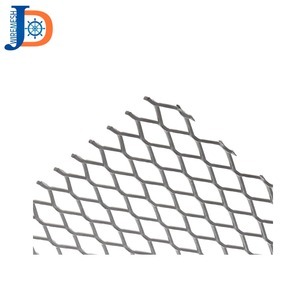 Anping Jingteng Wire Mesh Products Co., Ltd.
Usage : Widely used in Highway light protection for Vehicles at night ,Bridge ,Stadium ,Road-greening fence ,airport ,etc. and it is the best choice for beautifying the highway environment . We're sure your any inquiry will get prompt attention. With the development of the factory, we build the company and name it as Kexin for exportation. We are sincere to cooperate with you to develop and create a brilliant career and a better tomorrow! We attach great importance to quality controlling from each production line all the time . 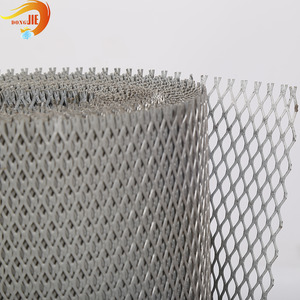 cheap price heavy duty diamond steel expanded mesh free sample could be sent for your evaluation at any time Expanded metal is one type of the products, the material can be the carbon steel, aluminum palte, stainless steel. It can be used in the building, oil industry as the filters, the galvanized steel flattened expanded metal normally used as the filters for the air, grease. 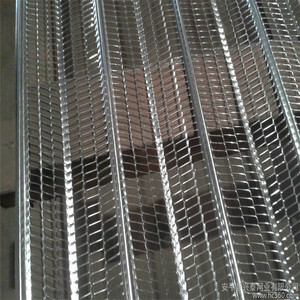 Application expanded metal u sed with concrete in buildings and construction, maintenance of equipment, making of arts and crafts, covering screen for first class sound case. Q: 2. 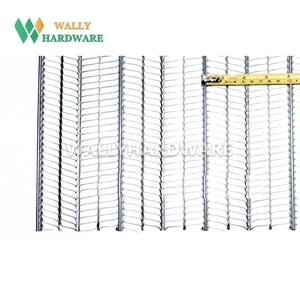 What you're getting before any work starts9 A: We will provide a drawing with your quotation, so you can see what your new expanded metal mesh will look like. 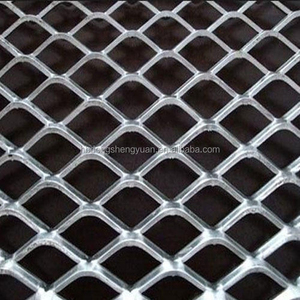 Q: 4.What types of materials are made into expanded metal sheet9 A: There are many types of materials made into expanded metal sheet. For example, aluminum, carbon steel, stainless steel, nickel, silver and copper can all be made into expanded metal sheets. Q: Could you provide the sample9 A: Yes, we can provide the sample in half A4 size together with our catalog. 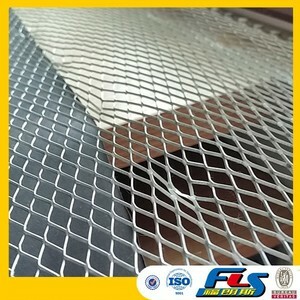 Q: What information should I provide, if I want the lowest quotation9 A: The specification of wire mesh. Q: How is your delivery time9 A: We always prepare enough stock material for your urgent requirement. Hebei Weijia Metal Mesh Co., Ltd.
Anping County Sanqiang Metal Wire Mesh Products Co., Ltd.
081 0.5 1.2 0.375 0.937 0.093 0.081 0.186 60 3/4" . 081 0.923 2 0.75 1.68 0.129 0.081 0.22 76 (Lt.) 3/4". 081 0.923 2 0.75 1.68 0.165 0.081 0.3 69 (Lt.) 3/4". Anping Xing Tong Hardware Wire Mesh Products Co., Ltd. Process: Applications Company Infomation Established in 2010 with an area of more than 6 acres. More than 20 sets of international advanced CNC punch press equipments. A comprehensive enterprise which integrates production, research and development, sales, trade together. 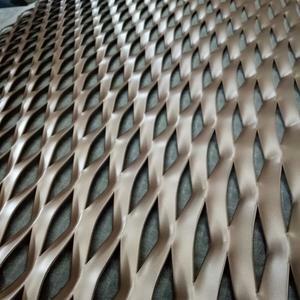 Shanghai MESH New Material Technology Co., Ltd. 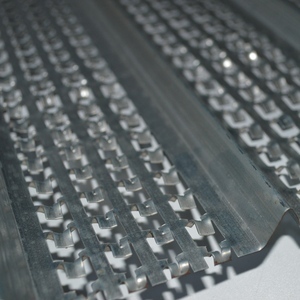 Description Expended metal ,the most versatile and economical expanded metal product,is made from the sheets or coils of mild steel,galvanized steel,stainless steel,aluminum,which are uniformly slit and stretched, forming a diamond pattern of openings in the finished sheet. 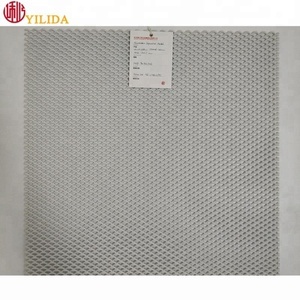 Because of those excellent characteristic,the expanded metal mesh can be widely used in interior and exterior decoration,industrial,security guards,screens,ceiling,curtain wall,buiding facade,etc. Our Projects Auto Shop Wall Decoration Nowadays, with the rise of simple decorative style, more and more famous auto companies begin to use metal mesh for decoration in shop and exhibition.